T-Shirts! It's fun, creative, fulfilling and easy to operate. And everyone is a potential customer. People might say, "A T-Shirt Business?" But, we are a light manufacturing retail business based on new technology that can create custom designed t-shirts for anyone and everyone. 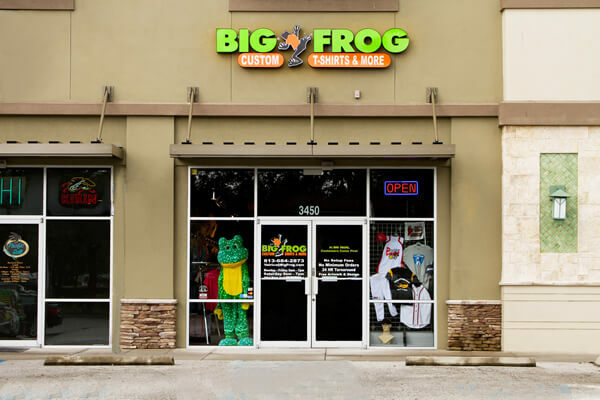 Here at Big Frog we have discovered that becoming part of your community, having fun every day, and making customers happy creates a fulfilling & rewarding business opportunity. 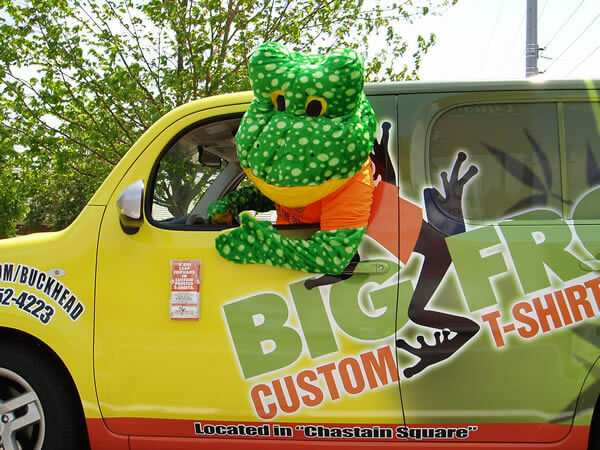 Fun and creativity are celebrated at Big Frog – by customers and employees alike! This is not just about our amazing DTG printers or the quality T-shirts – it’s about owning your day-to-day freedom to enjoy your work and home life. Custom garments are always the perfect product because customers design them to be. 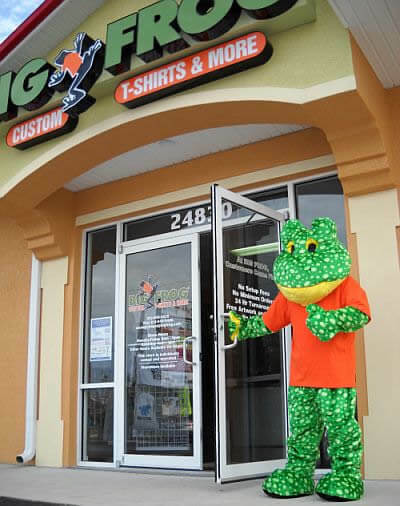 The best Big Frog franchise owner is friendly and outgoing, involved in their community or willing to become involved, and isn't afraid of meeting people in local schools, businesses, non-profits and other organizations. Team building and relationship building are very valuable skills, although store staffing is usually only 2 or 3 people plus the owner. Remember: Everybody wears a shirt - Everybody is a prospective customer! Please call Ron Bender directly at (727) 286-8985. Big Frog is currently accepting inquiries from the following states: Alabama, Arizona, Arkansas, California, Colorado, Connecticut, Delaware, Florida, Georgia, Idaho, Illinois, Indiana, Iowa, Kansas, Kentucky, Louisiana, Maine, Maryland, Massachusetts, Michigan, Minnesota, Mississippi, Missouri, Montana, Nebraska, Nevada, New Hampshire, New Jersey, New Mexico, New York, North Carolina, Ohio, Oklahoma, Oregon, Pennsylvania, South Carolina, Tennessee, Texas, Utah, Vermont, Virginia, Washington, Washington, D.C., West Virginia, Wisconsin, Wyoming. @Bobbis2000 Rob @Bobbis2000 , we tested the form and it seems to work for us? Try calling 1-866-971-3764. Hope to talk with you soon!